BabaCAD is a CAD application that offers you practical tools to make technical designs and drawings. The interface is simple and intuitive, with an interactive preview section and side panels that make it easy to access tools. The toolset comprises lines, points, circles, editable anchor points, and several other geometric shapes. Projects can be started from scratch, or existing projects could be imported. The commonly used CAD formats, DXF and DWG, are supported here. The app also lets you group several objects together, which are stored safely for easy importing and quick identification. Create your own CAD projects and save them in DXF 2000 format. 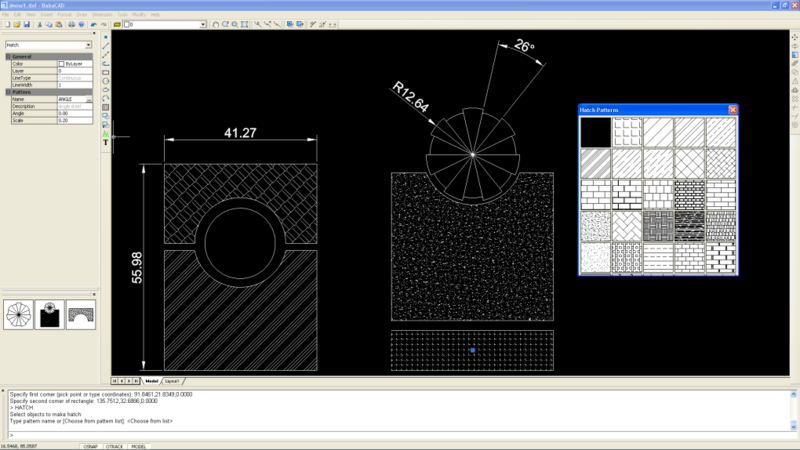 Open existing CAD drawings from other CAD software saved in DXF or DWG format. 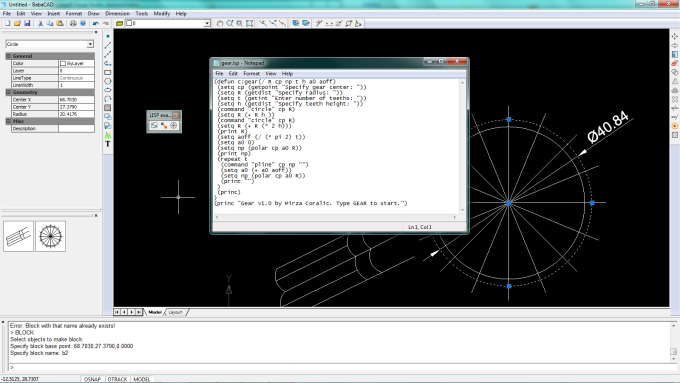 BabaCAD is first freeware CAD (no registration required) that support LISP programming and customization with API. Object SNAP and TRACKING features enabled for precise and easy drafting. Nearest, extension, perpendicular and intersection snaps. Draw hatch entities with more than 50 patterns included and also user patterns available from .pat files. Smart dimensioning with linear, aligned, radial, diameter and angular dimensions. Plot using layouts with multiple viewports in each layout. Easy plot scale setup. Palette windows for hatches, blocks. Custom LISP toolbars and command buttons. Users/Developers can develop their own extension modules using BabaCAD API. LISP programming enabled by installing free LISP Extension for BabaCAD. Small size of only 3 Mb. Developed using OpenGL and optimized vector algorithms for fast startup and run. What do you think about BabaCAD? Do you recommend it? Why?